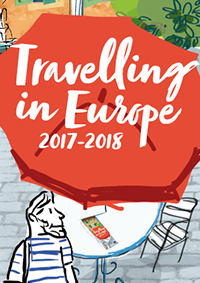 More and more research shows that learning mobility has positive effects on personal development, on employability, on building a sense of EU citizenship and on being tolerant to diversity. It highly contributes to broaden one’s horizon, stimulates creativity and develops the necessary competences to interact in a multicultural society. Is short, quality mobility is good for individuals, societies and economies. 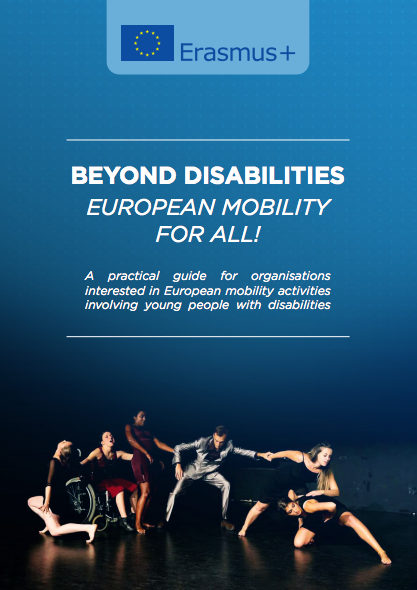 Eurodesk shares the view that mobility should become the norm not the exception in order to improve the life prospects of any young person, especially those from disadvantaged backgrounds. Having access to the right information at the right moment supports a more equal distribution of mobility opportunities. 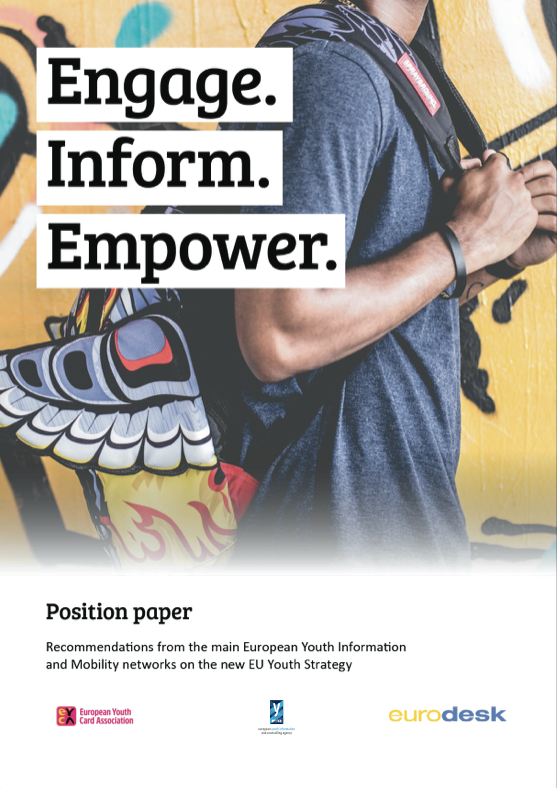 Specialised information services such as Eurodesk are particularly important as they offer young people accurate, reliable and youth-friendly information. For this, we cannot rely on technology only, we need to provide human resources to support young people in their paths. This is why we believe that the EU and its Member States should invest in quality free youth information services that can support mobile young people before, during and after the mobility experience. It is also crucial to develop innovative methods, such as peer youth information and support. Eurodesk, the European Youth Card Association (EYCA) and the European Youth Information and Counselling Agency (ERYICA) are three European organisations committed to promote quality youth information services, youth mobility, and to foster young people’s autonomy and active participation in society. The three information networks have signed a Memorandum of Understanding on 11 September 2016 in Brussels in order to strengthen their cooperation. As a concrete follow up, the three organisations have published a joint position paper “Engage. Inform. 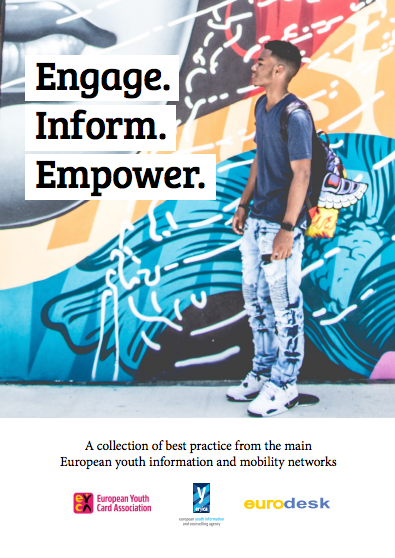 Empower.” on the role of learning mobility and youth information in the framework of the future EU Youth Strategy. 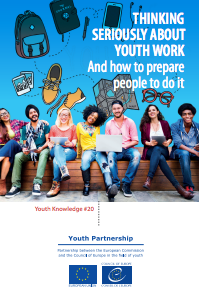 EYCA, ERYICA and Eurodesk run the joint project 'Reach More Young People: Promotion of Youth Work and Youth Information Services', from January to June 2017. 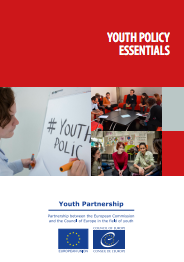 The project aimed at broadening understanding of practices and policies in youth work and youth information internationally and at enhancing the modernisation and effectiveness of youth work and youth information services. 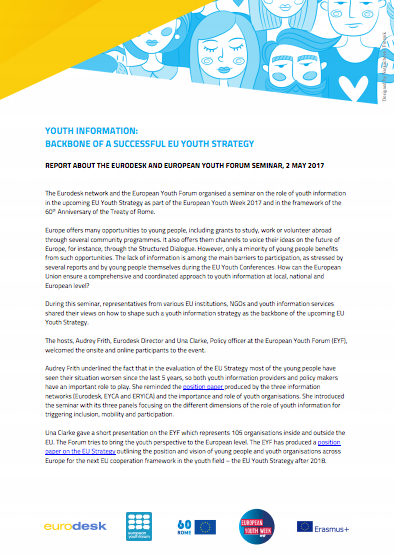 A joint training was organised in Brussels on 5-7 April 2017, and a collection of good practices was produced to showcase innovate examples of how to reach out and engage young people. The European Platform on Learning Mobility (EPLM) is a network coordinated by the European Union - Council of Europe Youth Partnership. It focuses on the learning mobility of young people and practitioners in the youth field. Eurodesk is a member of the steering group of the European Platform on Learning Mobility. The group consists of researchers, policy makers and practitioners. Learning mobility in this framework aims to increase participation, active citizenship, intercultural learning and dialogue, individual competency development and employability of young people. 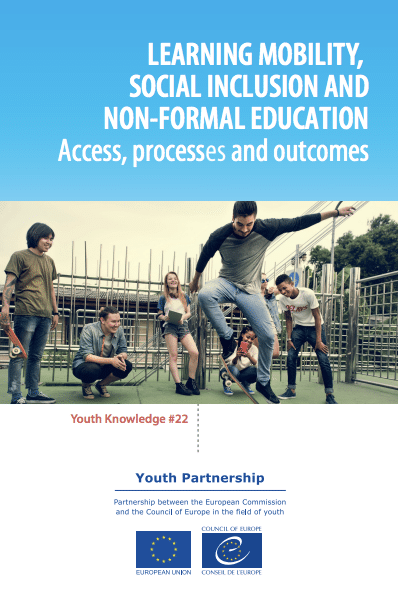 In 2016, the EPLM has worked on a Charter on Quality Framework for Learning Mobility in the Youth Field and is currently developing related indicators. The results will be discussed at the EPLM biannual conference to take place in France in May 2018.